IAW recently hosted a webinar with Suzanne Brown on unlocking potential and finding a new work-life balance. The webinar was so well-received that we have partnered with Suzanne again to publish an eBook featuring key tips and insights about approaching this crucial part of your personal and professional development. practice self-care to support your efforts. 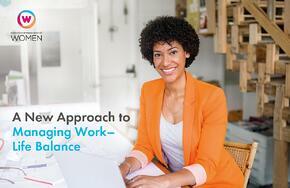 Complete the form on the right to download your copy of "A New Approach to Work-Life Balance."